Two people were injured in a shooting and carjacking in Antioch. 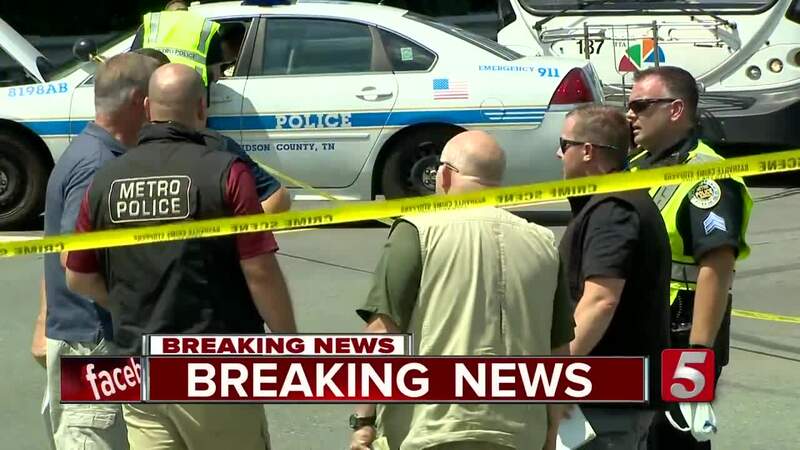 According to Metro Nashville Police officials, two vehicles were exchanging gunfire and ramming each other as they drove along Eagle View Boulevard. They stopped at the corner of Eagle View Boulevard and Bell Road Thursday around 1:30 p.m. where they had one final confrontation and shootout. One of the vehicles (an Expedition with one flat tire) then drove to a nearby apartment complex. One of the people inside the Expedition, 22-year-old David Young, was injured in the shootout. Police said he called a relative who then picked him up and took him to TriStar Southern Hills Medical Center. He was transferred from there to Skyline Medical Center where he is in serious but stable condition. The other vehicle (a Jeep) was stopped in the middle of the intersection. The occupants ran to the Thorntons Market gas station on the 1400 block of Eagle View Boulevard. They allegedly carjacked a woman, taking her Chevrolet Malibu. Leshawn Campbell and 23-year old accused murderer Deion Woodruff were two of the people in the Jeep. Campbell was wounded in the shootout. They drove the Malibu to the East Nashville Community Center and dumped him there. That's when a citizen saw him wounded and drove him to Vanderbilt University Medical Center where he is in critical condition. Woodruff is wanted for the May 1 fatal shooting of a man at Medusa Hookah Bar on Church Street. Officials asked anyone with information on where he could be to call 615-742-7463. 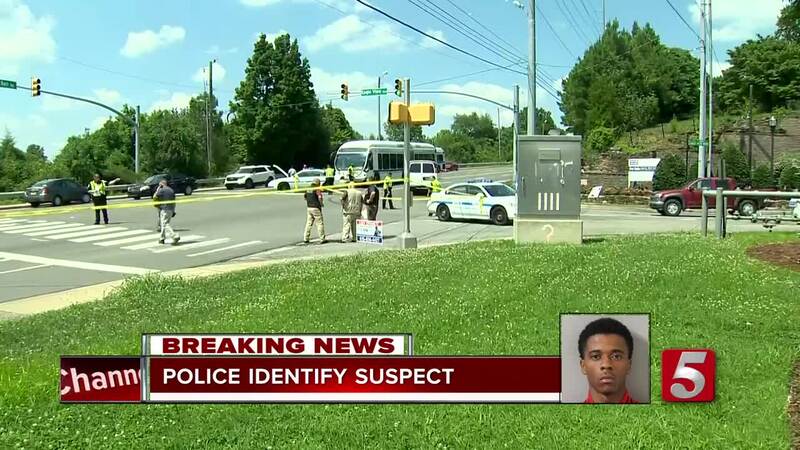 "He should be considered armed and extremely dangerous," said MNPD spokesperson Don Aaron. Bell road was blocked while police investigated.